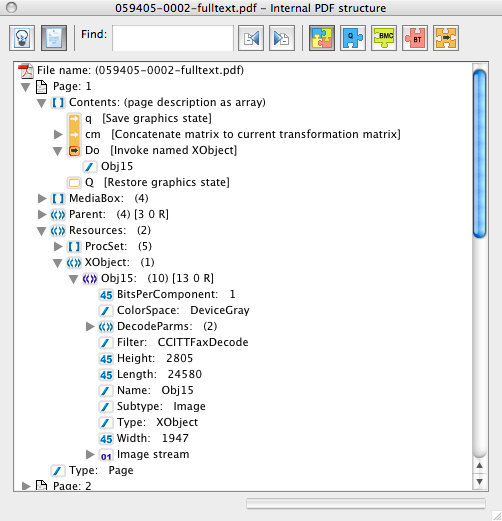 PDF text extraction - Why can I not extract text from this PDF file? 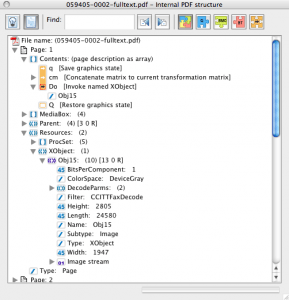 PDF text extraction – Why can I not extract text from this PDF file? A potential client sent me a PDF file which displays arabic text and asked why they could not extract the Arabic text from it. I am quite often asked this question so I thought it would make a good blog post. The page itself contains lots of Arabic text which the user wants to extract. The first thing to look at is whether the PDF contains any font objects. These define the text and the Encoding shows how to extract any actual text. 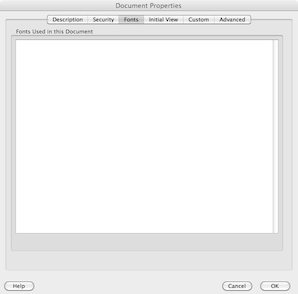 Here is the font properties for this file in Acrobat 9.0 – as you will notice, it is empty. Closer inspection shows that the pages are composed of a single large image. Looking at the page data in Acrobat 9.0 you can see the image details. So there is no actual text in the PDF to extract. You would need to use an OCR tool to try to get any text from the image. So while PDF files may ‘display’ text, you can only extract the text if it actually existing in the file.